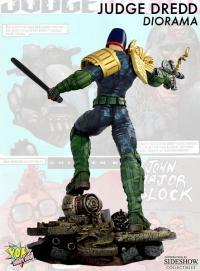 Sideshow Collectibles is proud to present, from Pop Culture Shock Collectibles, the Judge Dredd 1:4 Scale Diorama. 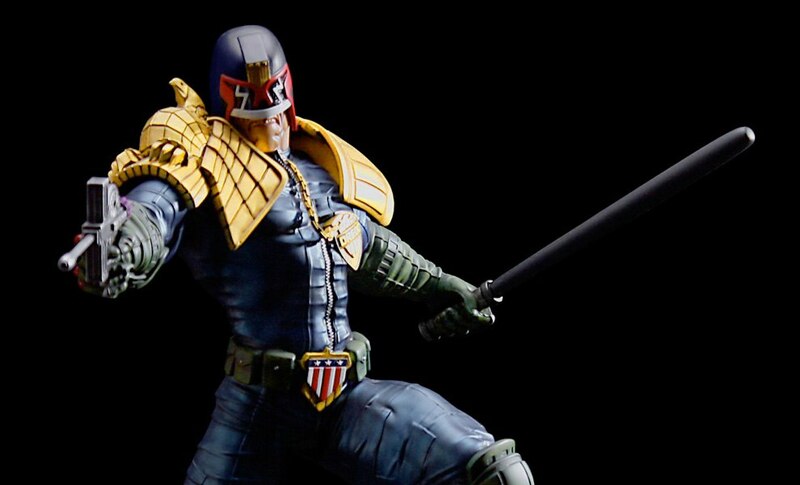 This meticulously crafted statue of the 2000 AD lawman of the future features a detail packed sculpture and masterful painting. 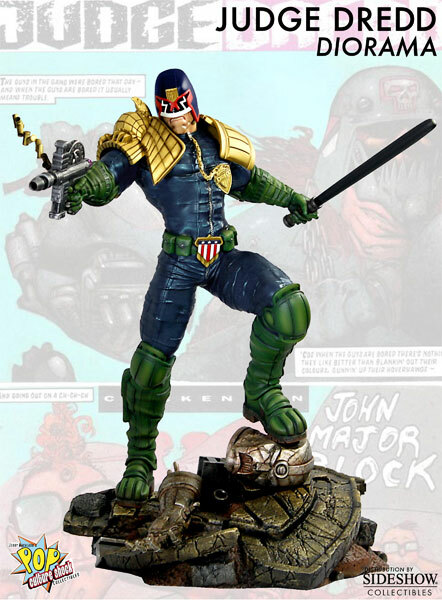 Dredd comes with two interchangeable versions of his Lawgiver gun and stands on the broken head of the \'Call-Me-Kenneth\' robot featured in 2000 AD # 10-17. 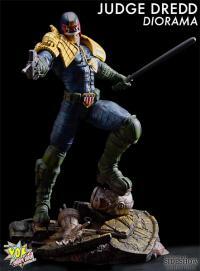 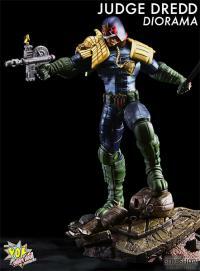 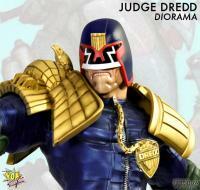 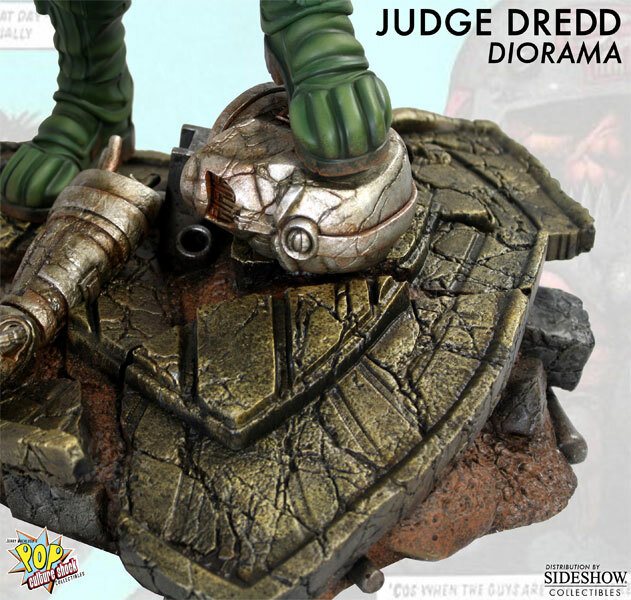 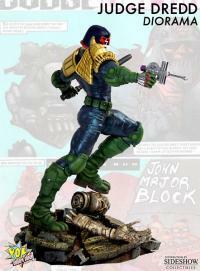 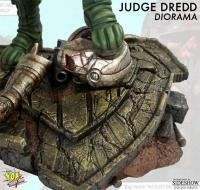 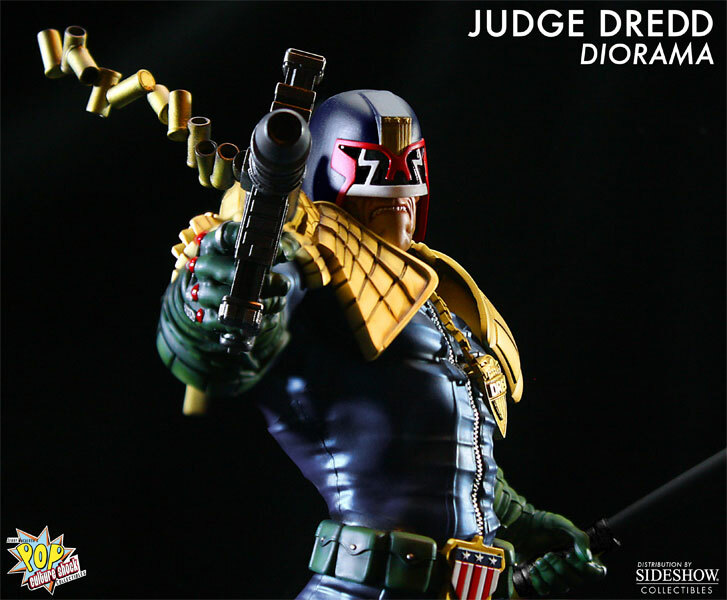 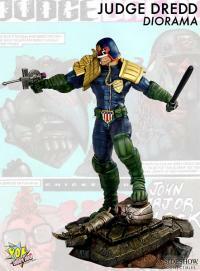 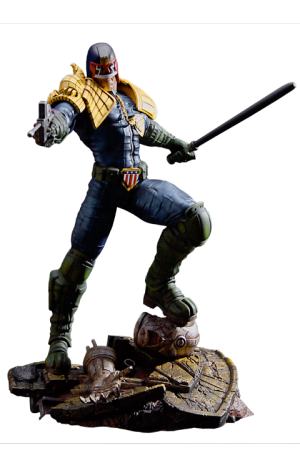 This 20.5 inch tall diorama is a must-have collectible for any fan of Judge Dredd. 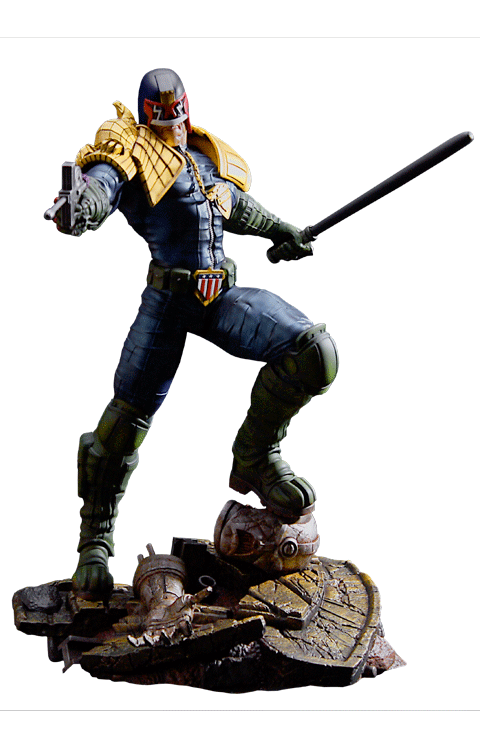 Sideshow Collectibles and Pop Culture Shock Collectibles are proud to present the Judge Dredd 1:4 Scale Diorama - Sideshow Exclusive. This meticulously crafted statue of the 2000 AD lawman of the future features a detail packed sculpture and masterful painting. 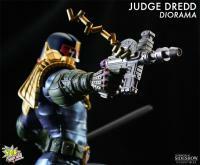 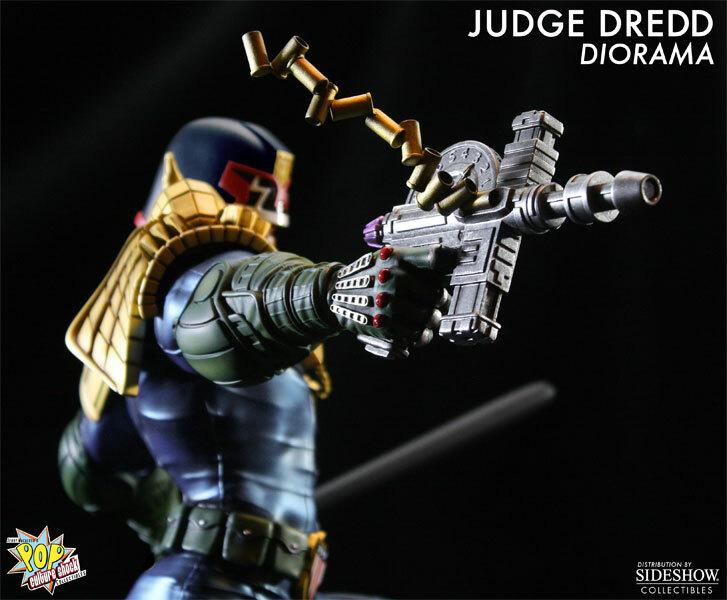 Dredd comes with two interchangeable versions of his Lawgiver gun and stands on the broken body of 'Sharky' from the well known 'Chicken Run' issue of the Judge Dredd Megazine. As a bonus, this very limited Sideshow exclusive contains the 'Call-Me-Kenneth' pieces from the regular version so collectors can display it in either form. 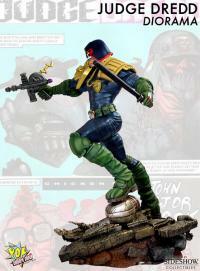 This 20.5 inch tall diorama will certainly go down in history as the ultimate Judge Dredd collectible.